I don't know about you, but I am always looking for ways to minimize mess while still letting kids have their share of fun. 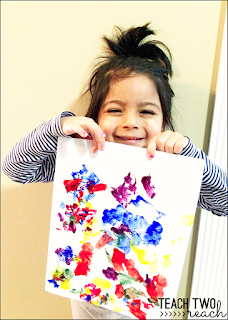 My 3 year old loves to paint - finger paint, brush paint, you name it. Well, with a little 7 month old crawling around everywhere, I wanted to let her have some fun but also wanted to ensure I had a set up that was quick clean up in case that little booger decided to attack his sister. I remembered seeing painting with cotton balls and clothespins somewhere, so I set it up today. So simple, so easy, so quick! 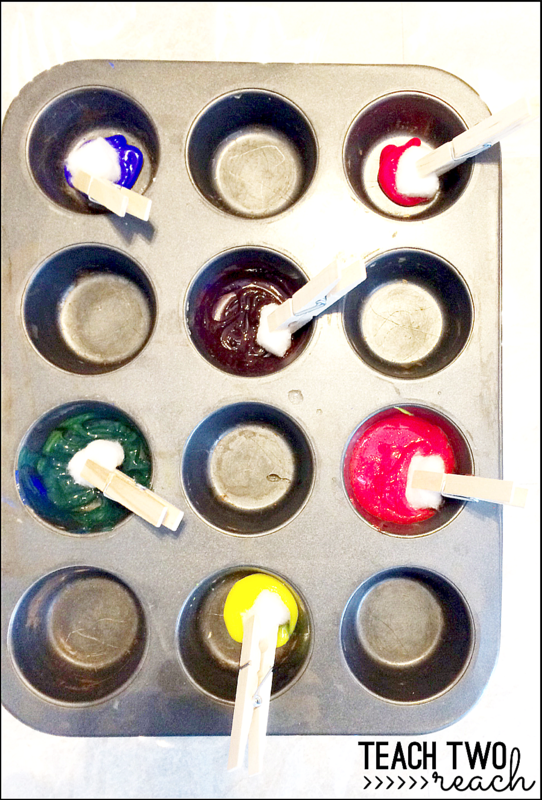 I used a cupcake pan but you can put your paint in anything. My idea for the future is to save the glass baby food jars and keep the paint in there so I can also store it better after it is done. Anyway, pour your paint. Then attach a cotton ball to a clothespin and put into each compartment of paint. 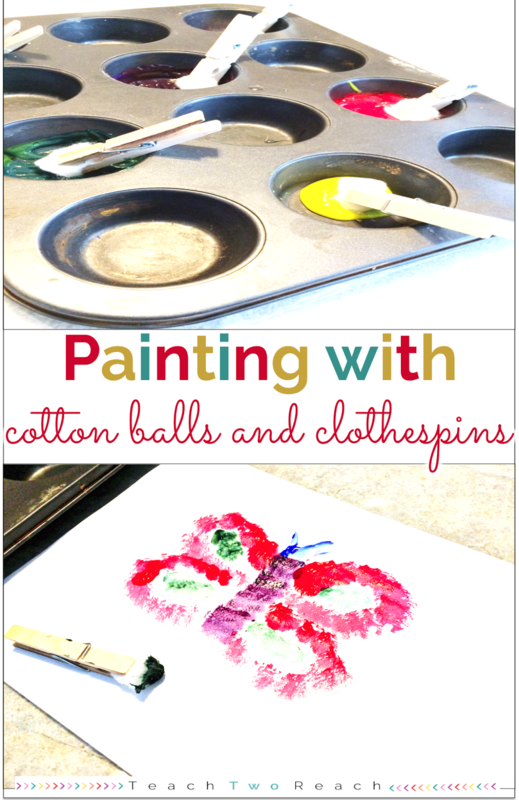 Painting with cotton balls, or you could use pom moms, allows a sponge painting technique to occur if dabbed. Or course I wanted to try it out too. I can so see this being used in the classroom for painting to accompany different writing projects, or just for fun. I made the butter fly below because although it is freezing cold in February, spring is around the corner!! This could make a cute project for that time of the year! I love Pinterest. I started it years ago as a place to find amazing recipes and now years later it still remains my favorite board.. :). However, it is definitely my go to place to find teaching ideas. 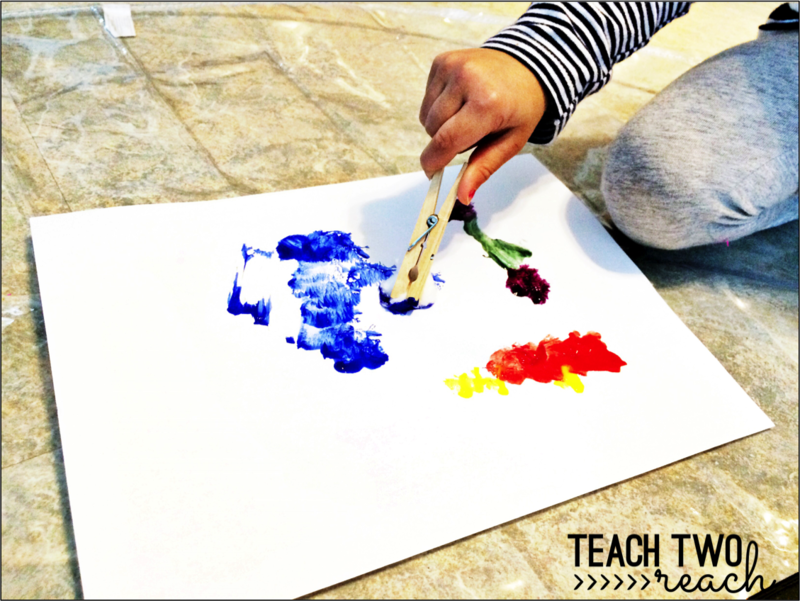 Today, I'm linking up with Lisa from Pawsitively Teaching, Marissa from Inspired Owl's Corner, and Ashley from Just Reed, to bring to you three of my favorite February Pinterest finds for the classroom. 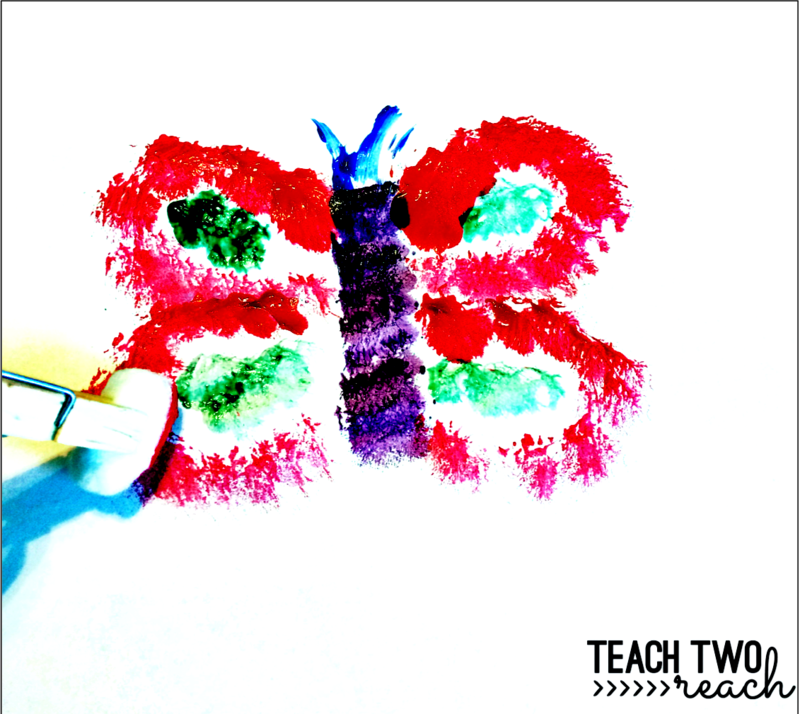 Teacher Bits and Bobs has these DIY love monster crafts! When I saw them on my Pinterest feed, I had to stop. So cute and beautiful as well. This craft serves several purposes - they are easy to make, make a great hallway display, and it includes a free writing template to attach to the craft. Click on the picture to take you to the original pin. I thought this Groundhog craft from Susan Morrow from Keep 'em Thinking was so adorable and easy to do in the classroom. Plus it's free in her TPT store! Just click on the picture to see the original pin. This Valentine themed explosion experiment from Creekside Learning is super creative for young learners. 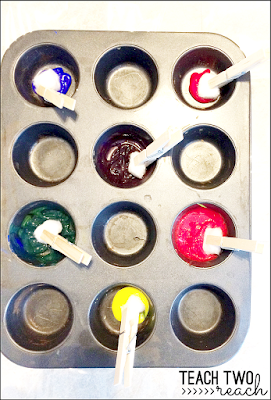 It uses baking soda, food coloring, cookie cutters, and some other ingredients to create this faux explosive material. 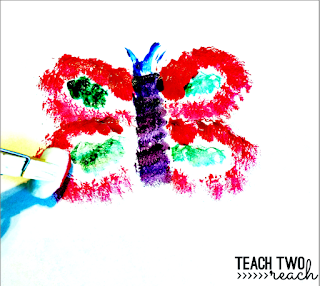 This is fun to do at home too with your own kiddos! So, there you have it. Hope these Pins gave you some ideas. 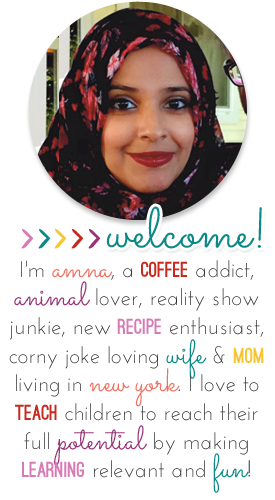 I'm loving Pinterest even more so these days and would love for you to come visit me below!